I have said it time and time again… but I truly am a morning person. I love getting up early, starting the day with the crow of our rooster and getting things done. It’s been a habit of mine since I can remember and my mom says that I’ve been that way since I could walk. With the new year in full swing, I have been so excited to get going and chugging away on life. You ever have those days where you are totally on the groove to just get things done? Well, that’s kind of been me lately and I’m enjoying it. My morning routine is simple but productive and it helps me get started on my busy day. To keep up the pace with a busy schedule, I changed up my routine just a little this year, to help things run a little more smoothly and keep me on course. One important “must-have” for me when keeping on task is an outfit that I can take from morning to evening (since I’m often running around that much) and that is comfortable. If you recall about a post I did last month, my goal is to dress a little more girly this year… so I’m trying my hand in doing so. I’ve been really loving pairing comfy and loose fitting tops with a pair of trousers or skinny jeans and of course, a cute heel that’s comfy for all day use. 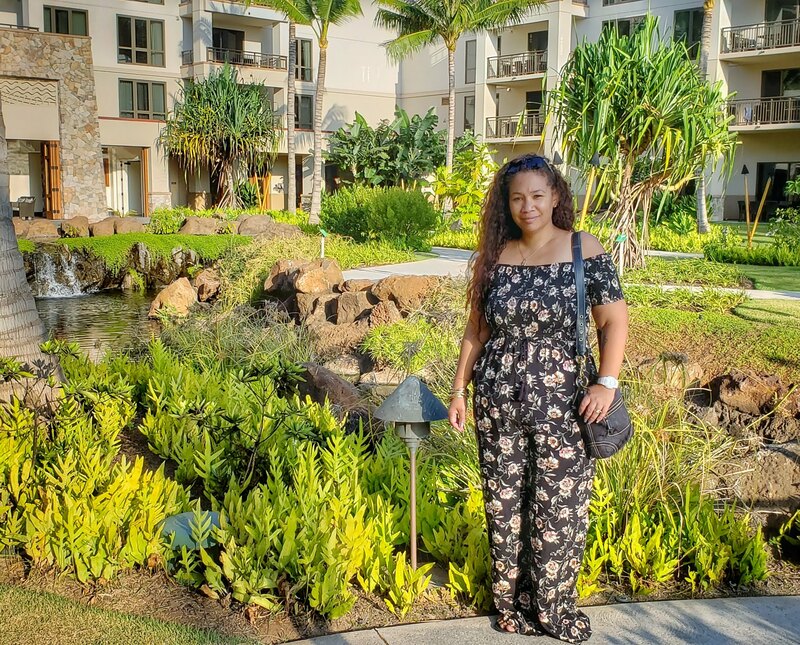 When it comes to clothes, simplicity is key for me because I need something that is cute but definitely functional and that will allow me to look good but still be able to chase after the twins if I need. Ah, this was an absolute given, don’t you think? My entire schedule is kept on track with a to do list and my planner. While I love a great digital planner (I also plan via my phone apps), there is just something about writing things down that seems to help me accomplish my task lists more efficiently. I have a plethora of planners, and they each all serve it’s purpose in my daily life. Without them, I would lose track of everything I’m doing and with a very long…. laundry list of things to accomplish – losing track of my schedule would not be a good thing. As a mom who’s always on the go, I have found that over the last several months, a more simplistic beauty routine has been ideal for me. With mascara and a lip balm or long lasting lip color – I know I can be out the door and ready in a matter of minutes. But, makeup is just a small piece of those beauty products that keep me on track. 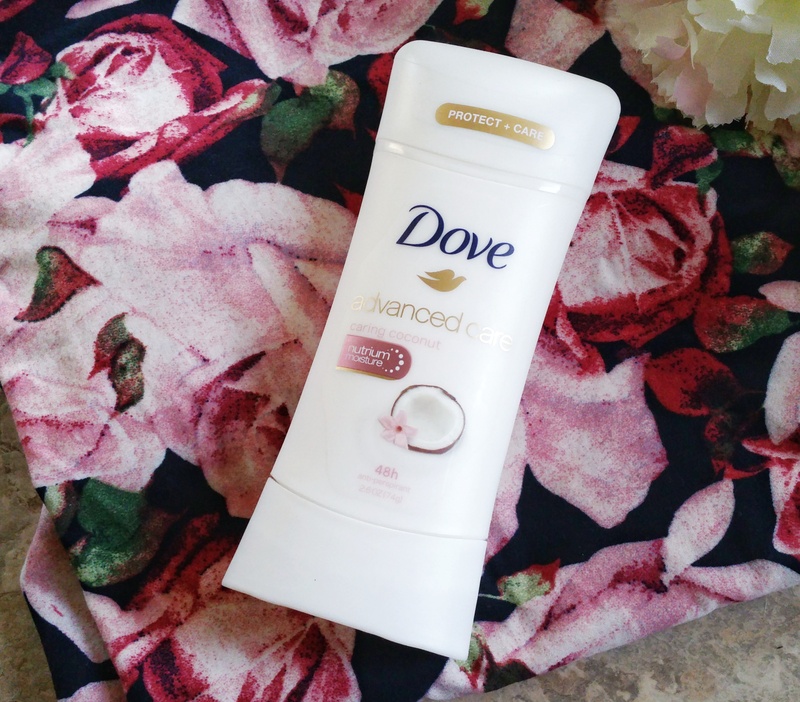 The Dove Advanced Care Deodorant has been a must-have in my beauty routine for quite a while and I recently tried a new scent – Caring Coconut, which I’m loving. 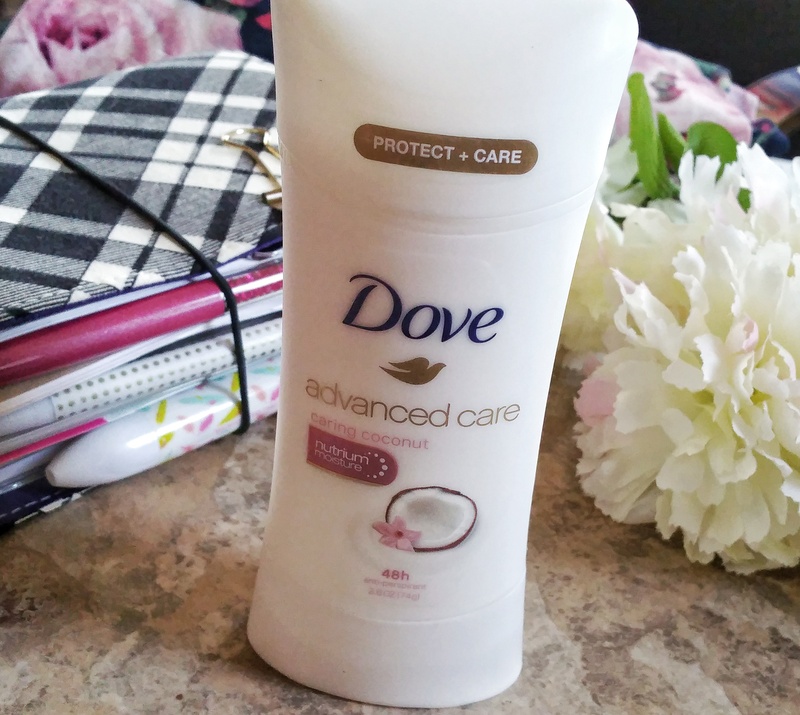 Dove Advanced Care Antiperspirant offers me 48 hours of odor and wetness protection plus the added skincare benefits of Dove’s 1/4 moisturizers and NutriumMoisture to provide my sensitive skin with softer, smoother underarms. 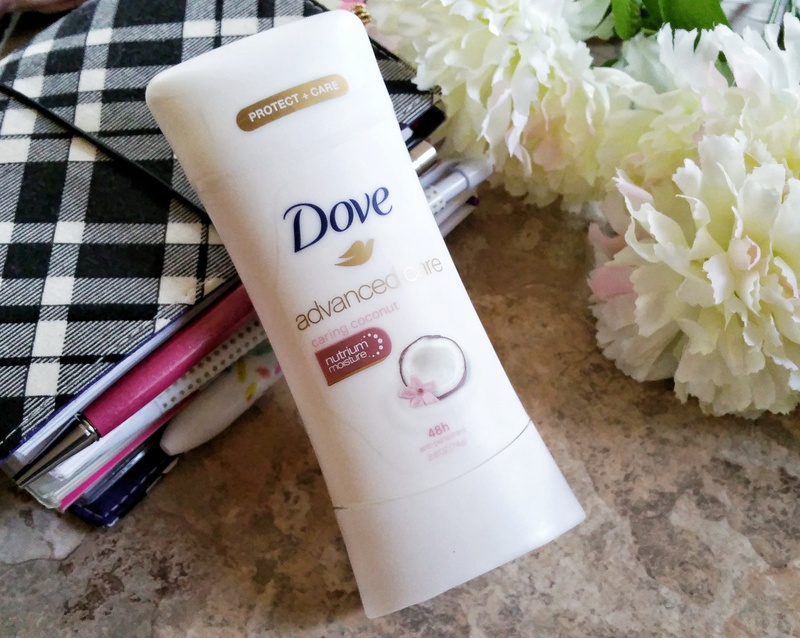 When you’re running around like crazy each day – a great deodorant is an absolute must-have and Dove’s Advanced Care Deodorant has been my favorite for a few years now. 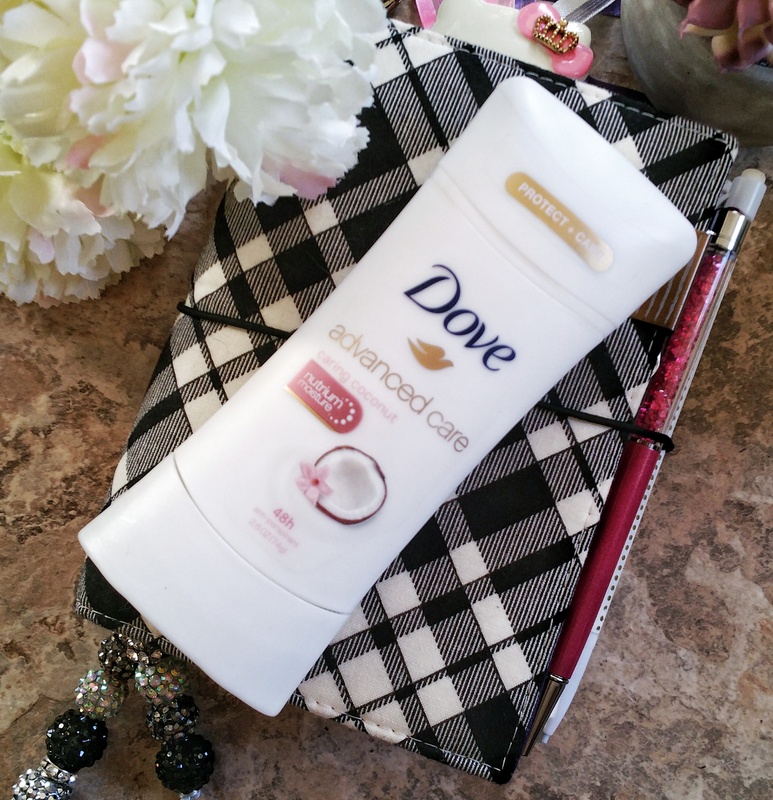 This deodorant is one I know and love and I am such a fan of it’s light and feminine scent. As a busy mom, I know that I need a beauty product like this one because it will keep working as long as I am. An important part of my day and morning routine is water. I’ve been dealing with health issues and trying to get my health on track again, so having water on me all the time keeps me hydrated and helps with my weight management as well. I make sure to drink the minimum amount of water intake each day – starting with first thing in the morning, so this is one important must-have in my daily routine. This may not seem like an essential part of anyone’s day, but it really should be. I find myself losing focus through out the day if I don’t take at least 10 minutes to myself each morning before I begin work, exercise or running errands. Now, let me be realistic here when I say that it’s not always ideal, but taking a few minutes of time for yourself is necessary. Whether it be to read an inspirational quote (which I make a priority to do each day), or put on your favorite “groove and move” music, it’s definitely a necessity. Gearing up for a busy day is more than just putting on your shoes, you have to get your game face on and feel inspired to keep you going. So – while each of us have an agenda all our own each day, what kinds of things do you do or have in your morning routine to get your going? Are you a last minute type person or like to plan? Are you someone who just loves mornings as I do? Comment below and share with me. Motivation Monday – Am I Adding Value to Others Lives? Whew… another week has begun and I feel like I didn’t quite finish up the tasks from last week to warrant starting a new one. Let’s face it, who ever completes their daunting daily tasks deserves an award, because my list is ever growing and it seems like there is less and less time in a day to accomplish it all. Nonetheless, I digress and try to move forward to the best of my ability. As I sit here at my desk working endlessly to get all of my ducks in a row for the next few days, I find myself wondering… “Am I adding value to the lives of those that read this blog?” Hmmm… don’t answer that… haha! No, but kidding aside, I really wanted to take this site back to its roots and I find myself consistently asking the same question of myself each day. Do I bring value to the table? The quick answer would be, yes… right? The long answer would be… I may not bring value to all but I certainly offer some form of value to a few, which in all honesty – is better than none at all. Right? So, what is it that you bring to the table that adds value to those around you? Do you look at your worth by the amount of success you accomplish or do you look at your worth by how you help those around you? In this day and age, let’s face it – not many people make the time to help others anymore. When they do, it’s half assed and rushed causing you to really question their motivations as to why they lent that hand in the first place. But should it really matter how much or how little someone has helped versus the fact that they have helped at all? Let’s think about this for a second shall we? If someone lends a helping hand for you (say, you have fallen and need some assistance standing up), do you feel grateful when they lean over and help you up and then ask you if you need anymore assistance or if you’re okay. How about if they simply just helped you stand without a word and went on their merry way? Which would you prefer? Or are you like me and think that either way – the person took the time out of their day to help you regardless of small talk and that meant a lot to begin with? I find that sometimes no words is not necessarily a bad thing. In this time when so many are at fault with one another and there is so much bigotry and ignorance in the World, if a person took 30 seconds out of their day to help you in silence versus 5 minutes and took the time to have a conversation, we should be thankful that either person took the time regardless. Those few seconds mean a lot to anyone who barely has enough time in the day to accomplish their own tasks at hand – don’t you think? Lately I think my goal in life is to be significant. It’s not about being successful (yes, we all strive for that in some way or another), but being significant means that I’m adding much more than just success to the table. When you take the time to offer value and add value to those around you – you truly are significant. Like John Maxwell said “Once you taste significance, you won’t care about success anymore.” Well John, I agree – but I think that to be significant in the world, adding value to others’ lives around you is a success too. Wishing you all a wonderful Monday. May today and this week be filled with a plethora of inspiration to fill your bucket full. It’s no secret that I’m a huge water drinker… but as much as I love water, I’m not a fan of it warm or hot unless it’s in coffee or tea. 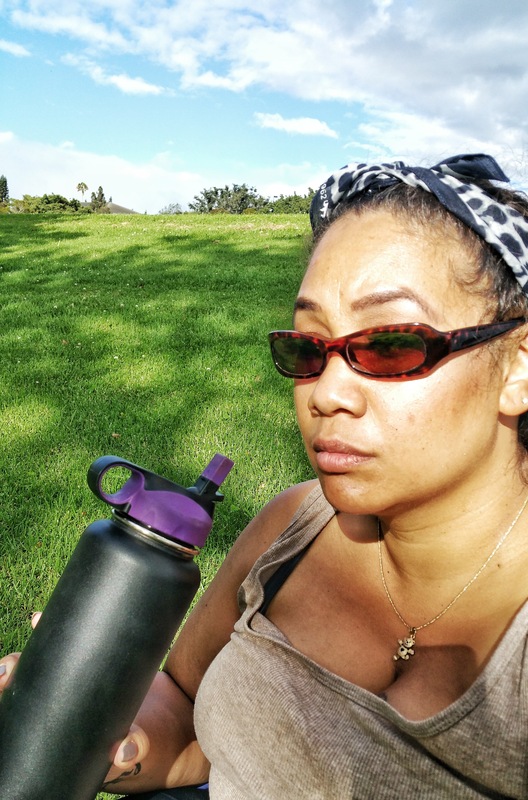 Years ago my husband and I started carrying our water bottles with us everywhere, but because your typical plastic bottle usually contains some form of BPA, they were not able to be left in the car while shopping and they would get really hot from the sun. Who wants to drink hot water to rehydrate themselves? Certainly not me! 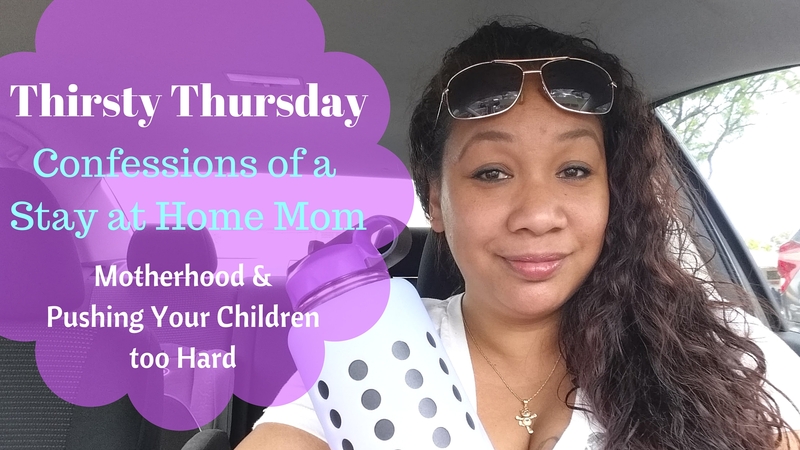 Over the last year, my husband and I have invested in the Hydro Flask and it is now a household name. It is the #1 staple in our house and since all of our boys play sports and my husband and I are avid walkers, we enjoy our bottles. 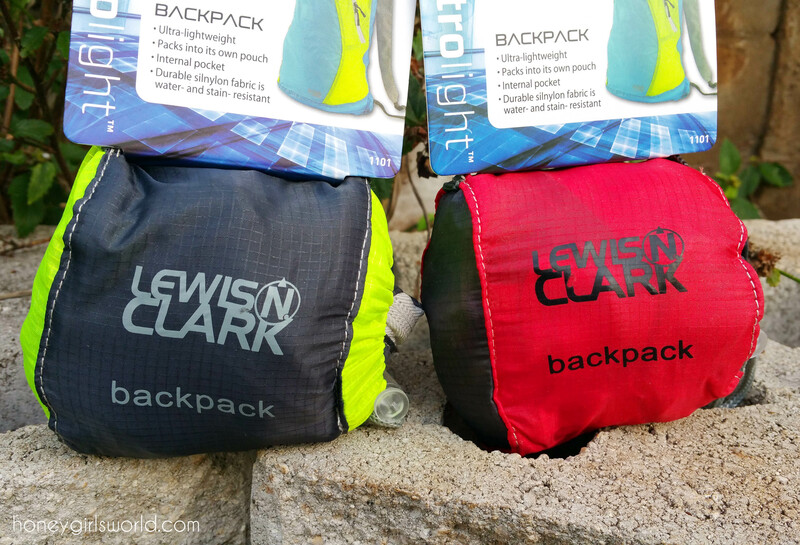 Today I share with you how I keep cool this summer and why I think this is such an essential item to have. You’ve seen it featured in my Thirsty Thursday videos time and time again. The Hydro Flask has been my number one drinking companion since I first started using it a year ago. 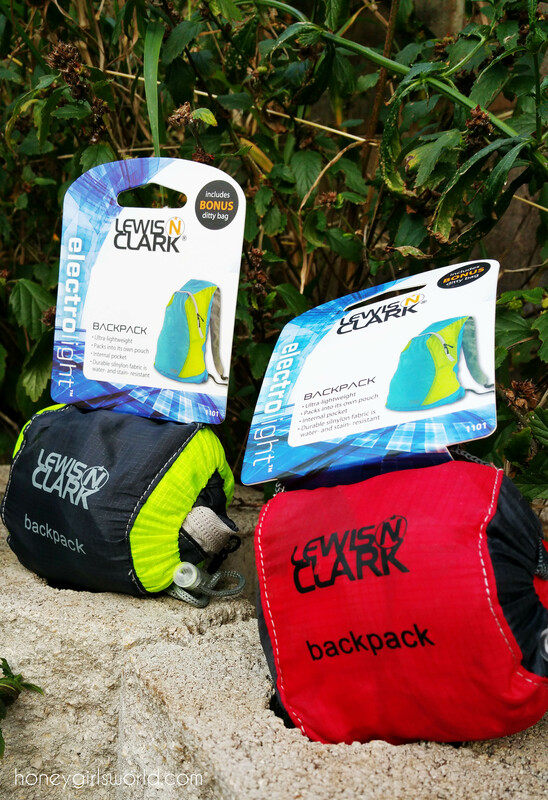 It goes where you go, whether out and about or working out, it will keep your drink ice cold or piping hot for hours. I am sharing with you the 40 oz bottle but they come in a variety of sizes. The Hydro Flask is an award-winning global leader in high performance, insulated stainless steel flasks. 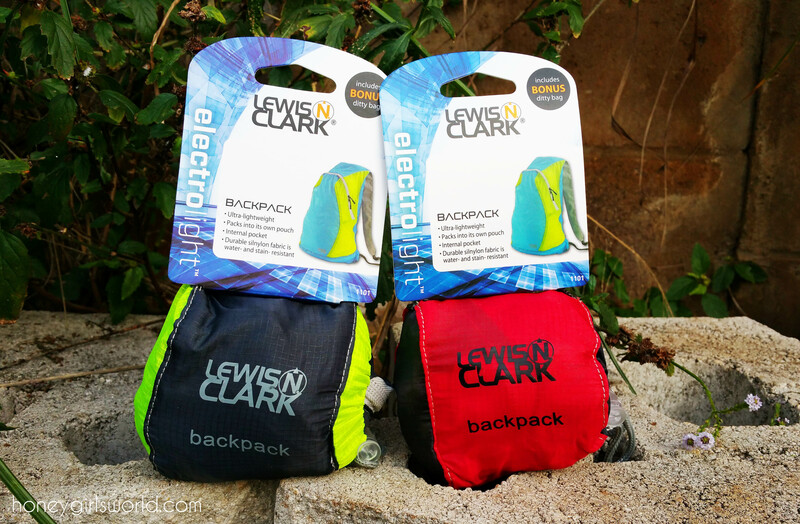 They were founded in 2009 in beautiful Bend, Oregon and the company’s mission is to save the world from lukewarm. Hydro Flask uses the highest quality 18/8 stainless steel and the Hydro Flask food and beverage flasks are stylish while still offering all the necessities like BPA-free, recyclable and backed by a lifetime warranty. 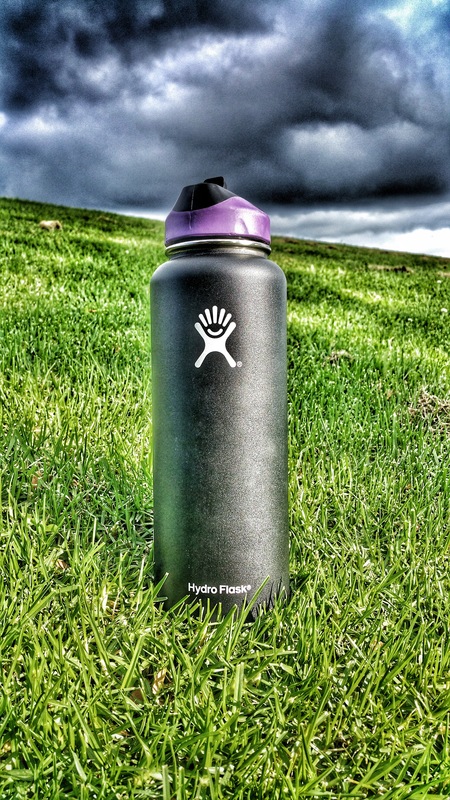 Hydro Flask believes strongly that great flasks and great causes go hand-in-hand. Because of this, through its charitable arm 5% back, consumers can allocate a portion of the net profit of their purchase to a charity they choose. 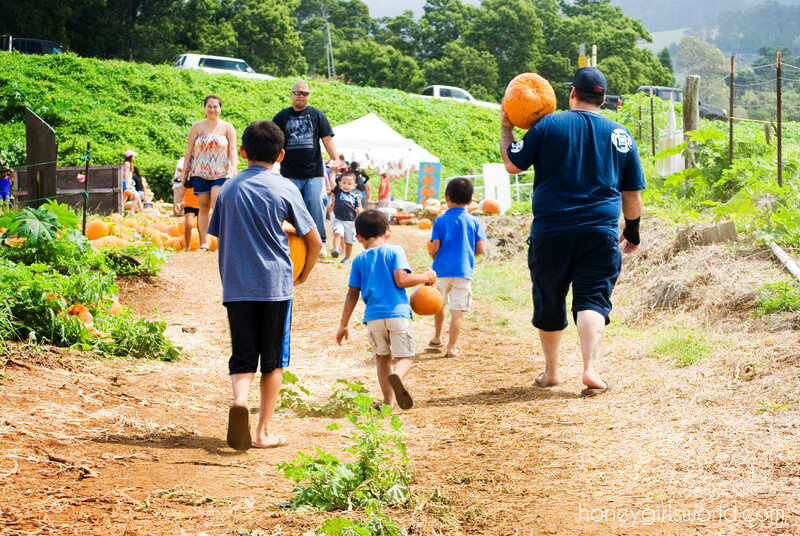 (Learn more about Hydro Flask’s charitable giving here). My family and I are huge supporters of the Hydro Flask brand. Each person in my family owns a 40 oz. bottle. While each one is an investment (depending on where you buy them they can retail for about $40 for a 40 oz. flask), they are well worth the cost. 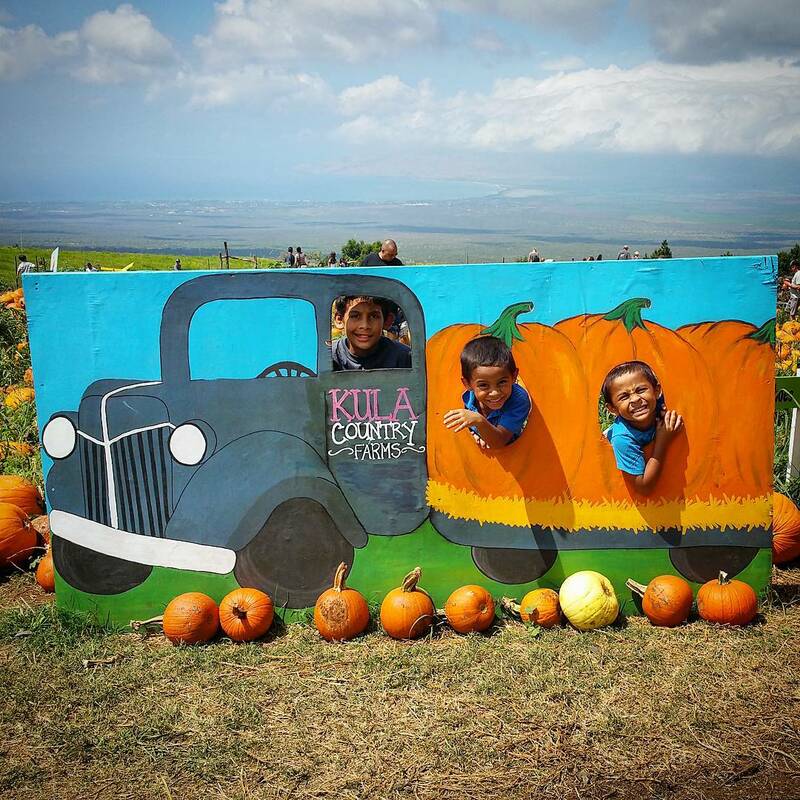 During Sports, my sons need to hydrate and keep cool, especially in the warm weather that you get here in Hawaii. Hydro Flask is known for their Temperature, Taste and Transport. (temperature) TempShield is used in 100% of Hydro Flask products, which is a unique double wall insulation that protects temperature for up to 24 hours cold and 6 hours hot. (taste) The 18/8 pro-grade stainless steel won’t retain or transfer flavors, ensuring the pure taste of your beverage. (transport) Proprietary powder coat offers an easy-grip, sweat-free and extra-durable bottle that you can take anywhere. 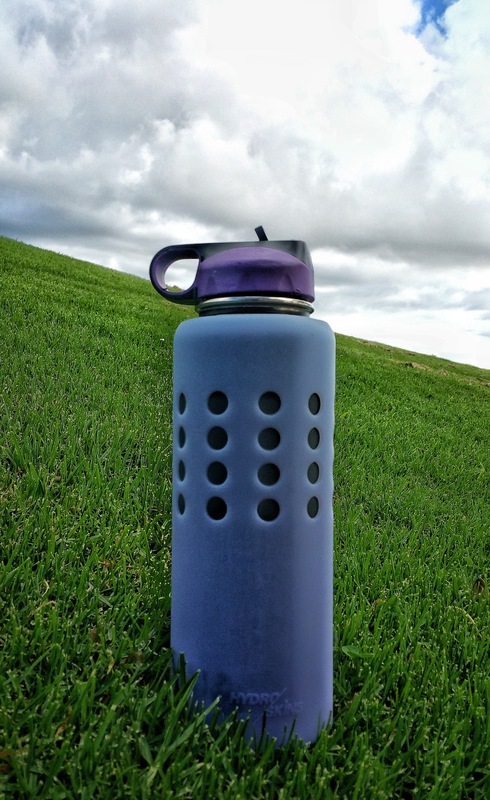 Unlike other stainless steel bottles my family and I have had in the past, the Hydro Flask bottle is sturdy. Other bottles have dented quite easily but these have retained its shape for quite a bit. Of course, if it drops on a hard surface, it can get dinged, but overall it has lasted us quite some time. I have had my original flask for over a year with minimal damage to it. I love that Hydro Flask offers a variety of different accessories for your flask. A Wide Mouth Straw attachment is a favorite of ours and it allows us to carry our water with ice in it all day. What is so awesome is that even on a hot day, with my bottle in the car, my flask is still ice cold and most of the time my ice is still wiggling around inside the flask. The bottle never sweats which makes it perfect to store anywhere without worrying that it will ruin any of my electronics or furnishings and I love how convenient it is to take with us on the go. 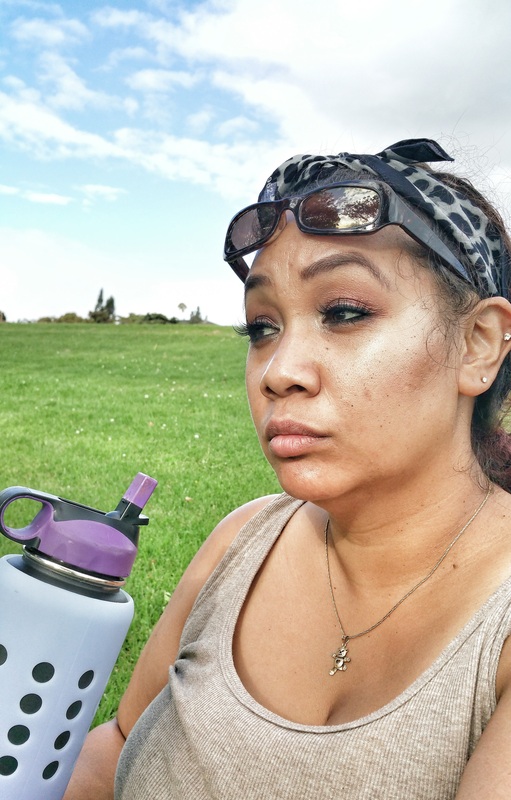 When it comes to staying cool and hydrated this summer or anytime of the year, I know I can rely on my Hydro Flask to keep me cool. It’s the best summer necessity to have and an essential in my book. 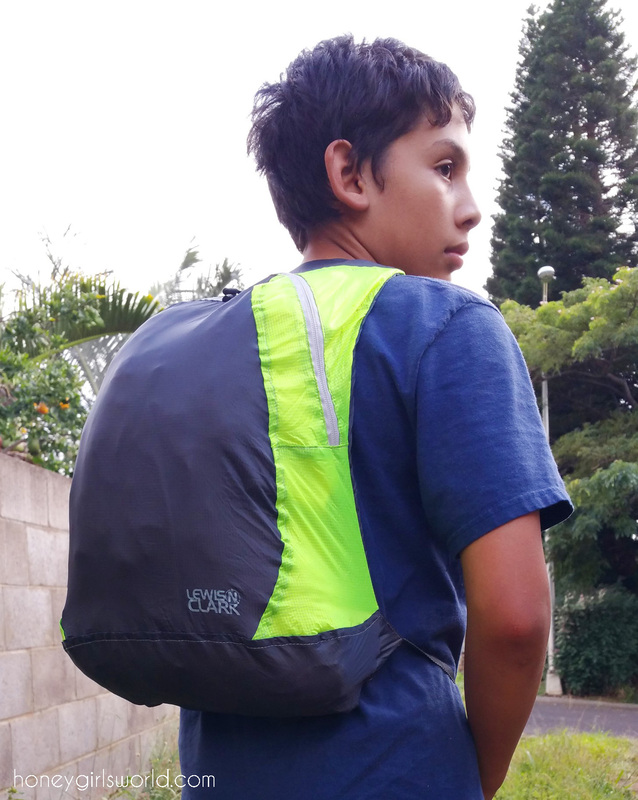 We are completely hooked – my husband takes his to work daily and the boys take theirs to school and practice. It’s definitely something I think you should check out. 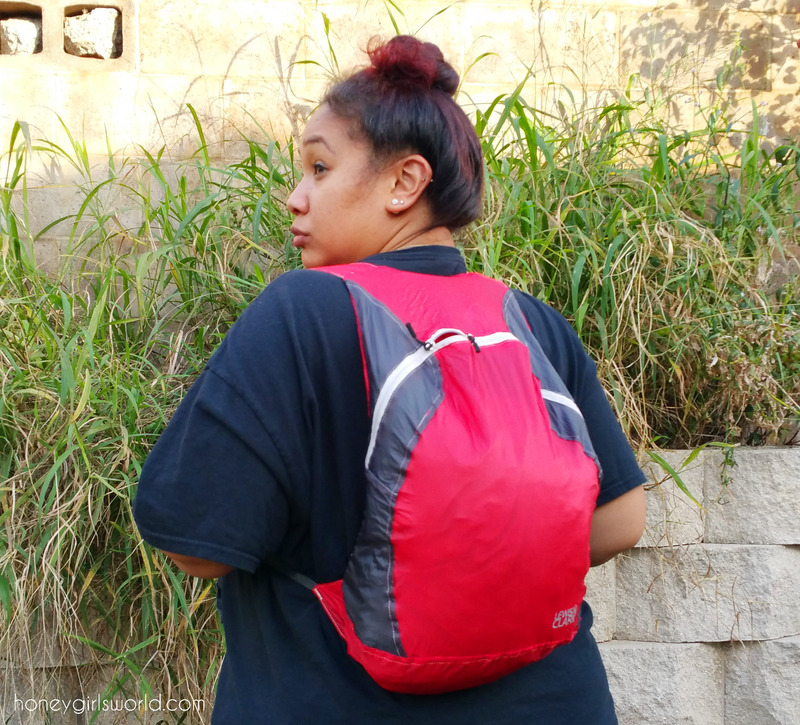 Disclaimer: The product featured in this post was sent for review consideration, however – I already owned similar products previously so I’m speaking with experience as someone who has also spent their own money on the products. All opinions are my own, 100% honest and unbiased. Affiliate links are posted through out. My husband and I have been married for over 15 years and together for almost 20. I knew that when we started dating, there was a possibility that he would be in some form of Law Enforcement because – well, it’s a legacy honestly. His Dad, brother, sister, uncles and Great Grandfather are well known in the industry of law enforcement, so I had expected that he would follow in their footsteps one day and that would be his calling. A few years ago he made the commitment to become a Corrections Officer, or a CO which is a common term used in the field. I knew what we were getting into as a family, but little did I know how it would affect us and our lifestyle moving forward. 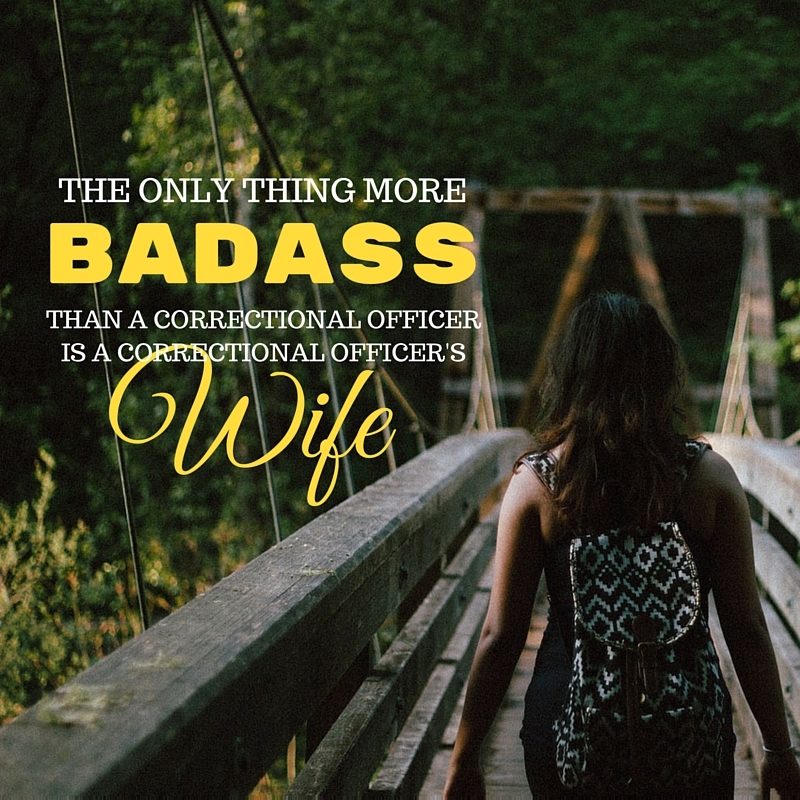 It’s been almost 3 years since my husband was sworn in to be a Corrections Officer and since this is a Lifestyle site, I figured I would turn this particular post into a series, like my “Confessions of a Stay at Home Mom”. After a few years, I’ve decided that this would be a great way for me to vent, share my ramblings and my support for this man I love. So – stay tuned for more of these types of posts in the future. Now, let’s get into what it’s like to be a Corrections Officer’s Wife. What it is like to be a CO’s Spouse… the shortened version! Let’s start with the statistics, shall we? Corrections Officers have a 39 percent higher suicide rate than any other occupation, with a life expectancy of only 58 years. Many don’t realize that that is 20 years less than the average American. With mental illnesses like PTSD, anxiety and depression being a huge issue for CO’s in the industry and high divorce rates increasing consistently over the years. As a couple, my husband and I knew the statistics, but we also know how strong our relationship is, though – I’ll be honest, this job has had its challenges on our strength over the years. As if those statistics were the only thing we had to look forward to, there is the actual job itself. Each day my husband walks through the gates of the facility he works in and each day I think about the dangers he faces behind the doors. As I watch him leave the house, I’m consistently reminded of what lurks in the buildings he works in and I have to entrust his co-workers, his comrades to have his back when I struggle to give up that right to anyone already. Disease, murderers, criminals – all of which he has to deal with on a daily basis, I have to entrust that he will have the right judgement calls to protect himself and believe that God will bring him home safely to me. I understand that many in the field of law enforcement may have similar and high demands of what my husband has to deal with daily, but I also see that due to misconstrued issues, assumptions and past issues lend for Corrections Officers to have a bad reputation. The fact of the matter is, most Corrections Officers do the job of a Police Officer day in and day out with little to no protection or weapon outside of their own bodies, their fists – to protect themselves. They are the EMT (Emergency Medical Response / Paramedic) on scene, the Fireman to put out fires and the Police Officer with little to no recognition and much less resources than many of those uniformed enforcers have. They are unrecognized in their job and what they do – day in and day out and many people scoff at what they are because they are ill informed of their daily job or duties. My husband took an oath to serve a community and protect a population (inmates) and it can often be held against him or his fellow CO’s. Or, held against me, because I am married to a CO. The fact of the matter is – Police Officers spend a small portion of time with these criminals, inmates, those that are doing time… only to drop them off at the Correctional Facility where my husband spends his entire day with them until they are released, if they are released. Again, during this time only protecting himself with his own fists, no weapon to protect himself other than his eyes and his own body. 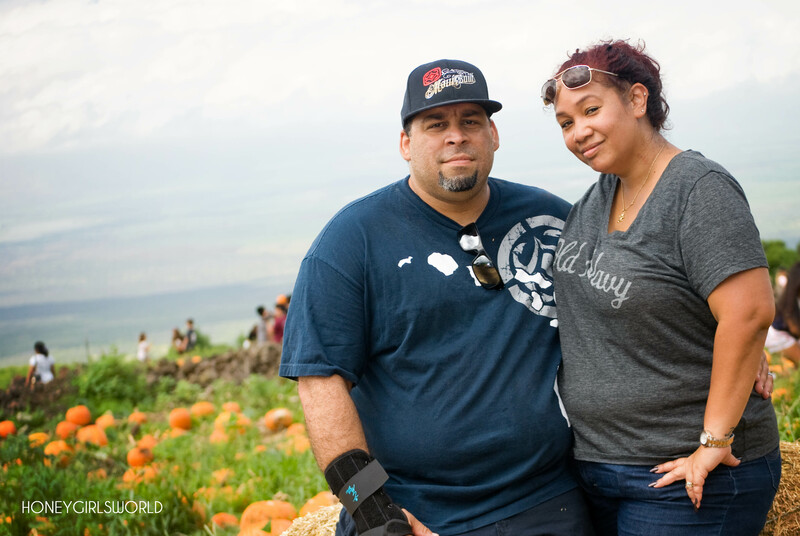 I’ve often been asked why my husband doesn’t make appearances as often as he used to on my channel and blog and frankly, it has a lot to do with the safety of our family. It may seem like it is not a big deal or small sacrifices for great reward but the fact of the matter is – my husband is in a field most people know little about and those that think they know, are assuming or using strong allegation, rumor and no knowledge to judge appropriately. As a family, a job like this really pulls at the heart strings and waiting as my husband comes home each night safely is one of the hardest things I could have ever experienced as a wife. We are a strong family that is close and we always have each others back, but something like this can definitely test your strength, your beliefs and your love. I’ve had sleepless nights, more so now after there have been issues in the modules where my husband has already been injured and I’m sure that this job will continue to weigh on my heart over the years. I’ve had to explain to our children why their dad could not come home in time to watch a performance, because there are times when there is a lock-down or he is required to work overtime. I’ve had to fight back tears when my husband comes home to tell me what he had to deal with at work. 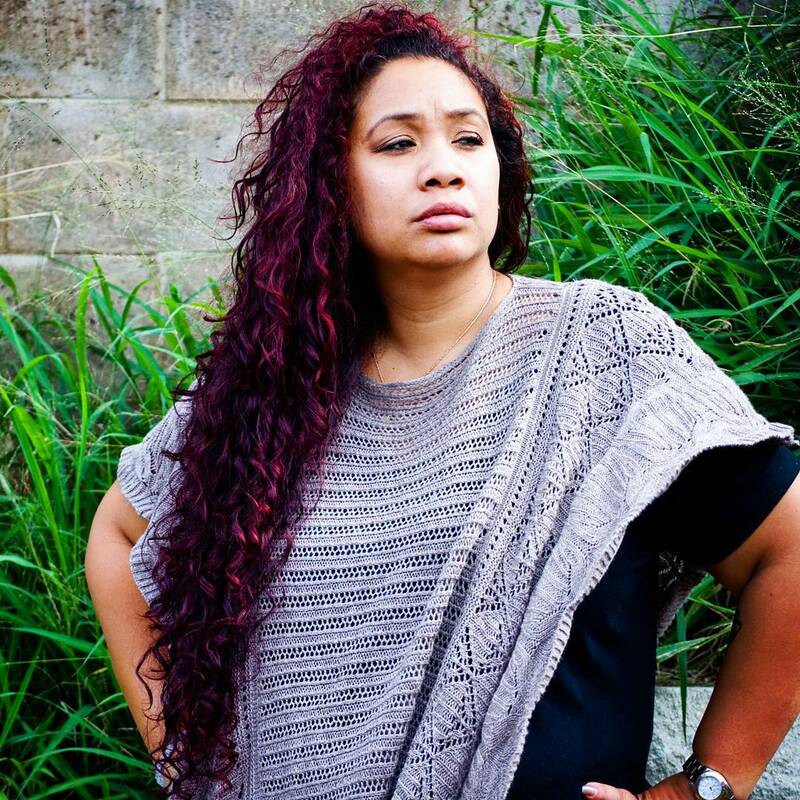 I am the protector of my household and children while my husband is away – bearing arms to protect us from dangers and staying strong when I know I just want to fall apart. But, as a proud wife of a Corrections Officer, I stand tall and thank God for his blessings and for protection over my husband as he continues in his career. It’s not an easy task, but hey, such is life – right? If you are a CO’s wife, know that you are not alone. And while times can get tough and everything and anything will test your strength, there are women like us that are here for support. Like I mentioned before, I hope to have more of these in the future, so keep an eye out for that. Even if it’s just something to give you a little guidance or a few words to remind you that you’re not alone, I want to be able to share this with you. Be sure to watch the video embedded above or click here to watch the episode directly on YouTube. Remember that this is just a chill and relaxed conversation and I’m simply stating my opinion as a person and not bashing on anyone else’s opinion on the subject. Thanks so much for joining me on this episode of Thirsty Thursday. 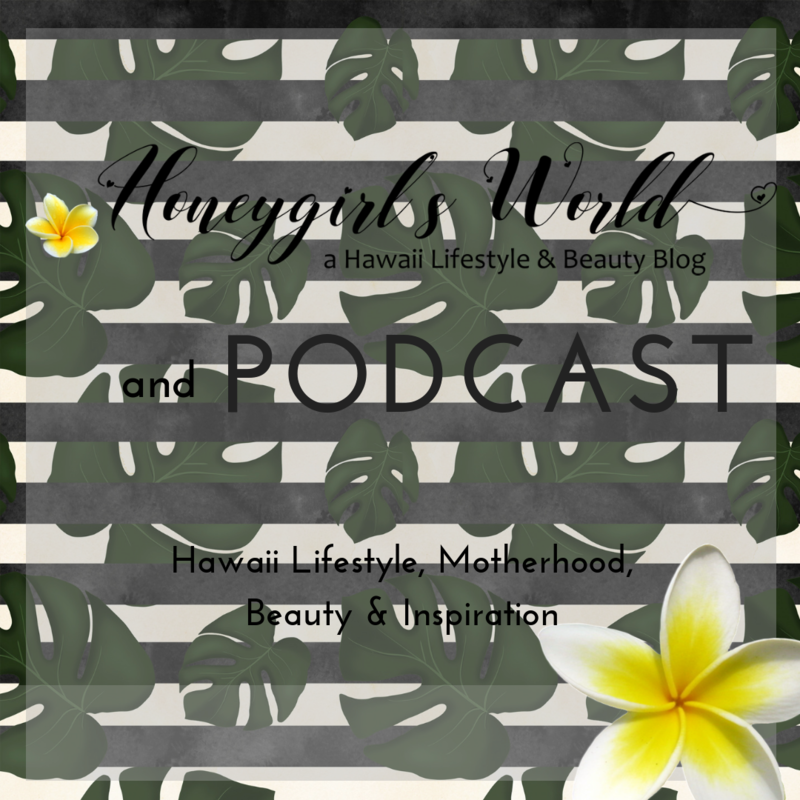 Don’t forget – if you are interested in submitting questions or topics for future episodes, you can email them to thehoneygirlk@gmail.com. As a reminder, I am not a professional at all and do not get paid for my advice. All opinions are my own – my honest thoughts on the subject and I am in no way judging anyone for the choices they make or their own opinions, these are just mine. 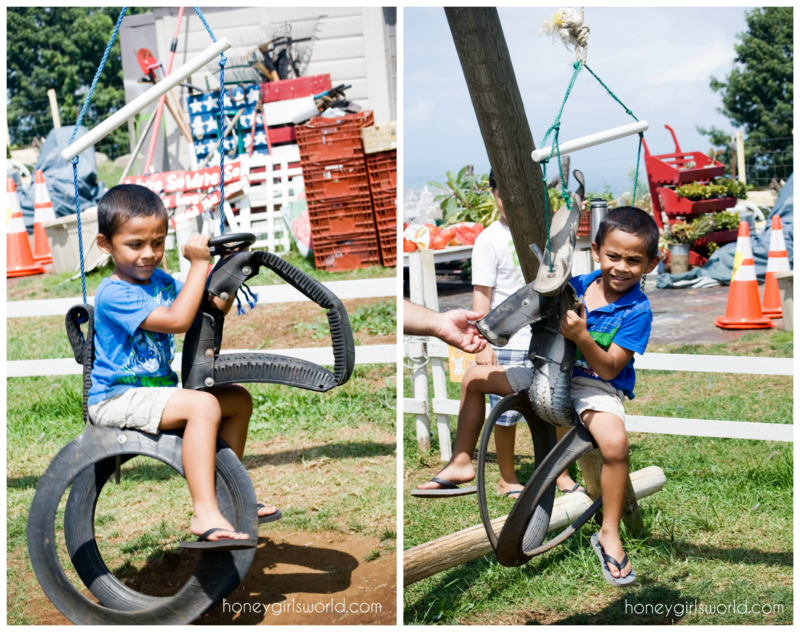 The boys started their Spring Break a few days ago and we have been trying to make use of all the activities we can get in while we have some time together. The weather has been so weird the last week, storming one day, drizzles the next and then warm but breezy… so we’ve been trying to get in some outdoor time while the weather is reasonably nice. 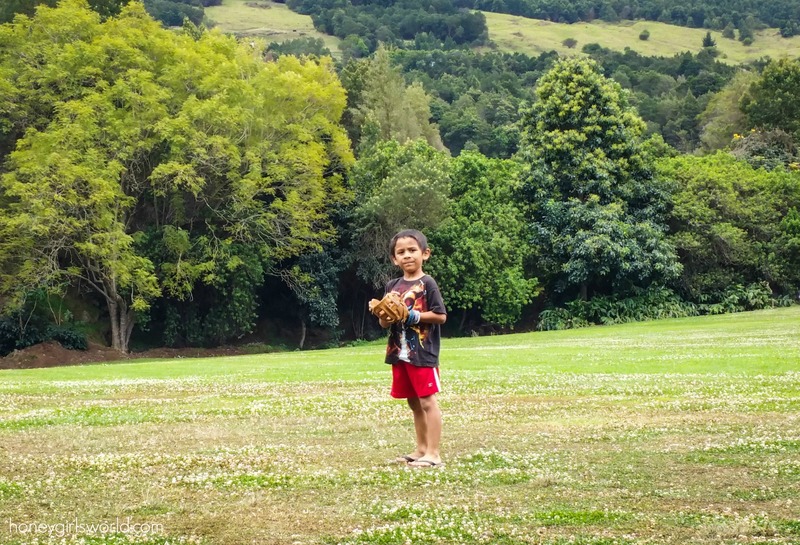 On Saturday we went to the park to play on the playground and throw the balls around some. The boys love any form of sports so it is always nice to get out and toss the baseball or basketball around and just enjoy the warm sun. 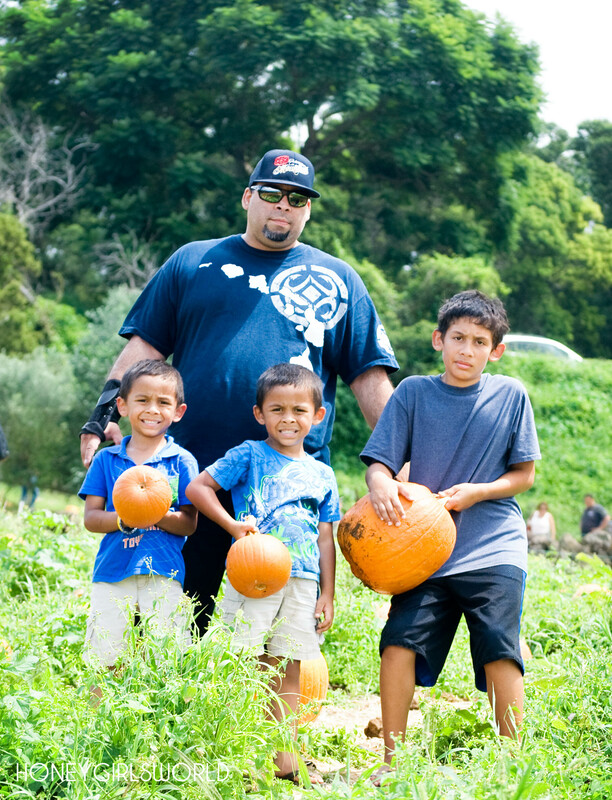 The great thing about our boys is that they are so content with just having family time together – that it doesn’t matter where we go or what we do so long as we are doing it as a family. Since the boys tend to spend more time with me then their dad with his work schedule, they look forward to weekends at the moment since their daddy has that time off currently. Isaiah absolutely loved tossing the ball around with is daddy and brothers. Each of the boys have their own gloves so we like to play catch when time permits to help build their eye and hand coordination – but also because it’s really fun. 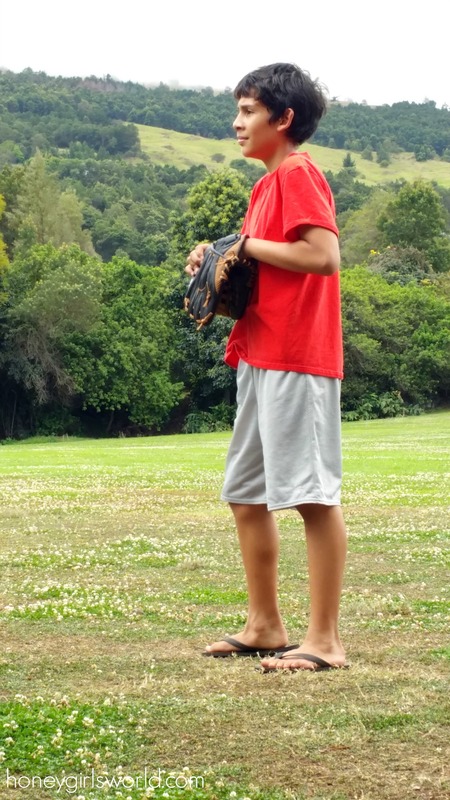 With basketball season for my eldest Kevin starting in a week, it’s always nice to get out and have some park time. Once basketball starts – just like football, most of our family time is consumed by practice and games. Because of this we try to take advantage of our time together before sports’ season starts because sometimes the hustle and bustle of everyday life and activity can take over and leave us without much time to ourselves together as a family. “Mommy, take my picture!” Luke is such a ham. All my boys are but Luke will always ask me if I can take his picture or if he can be on camera. 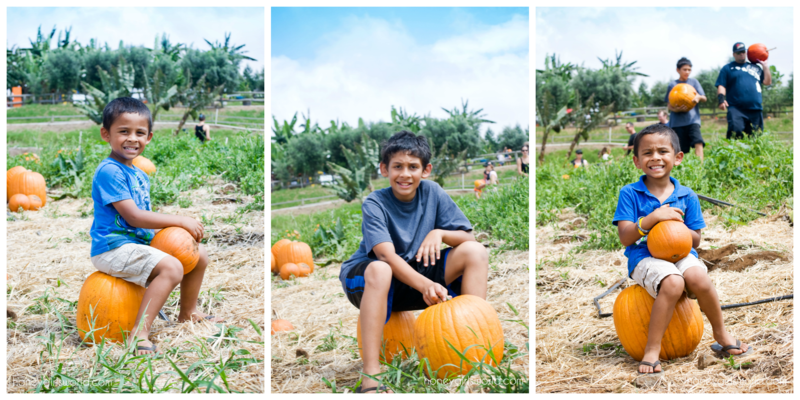 I love it and love that he has such an outgoing personality. It was nice to get out to the park and playground for a few hours on Saturday and I’m glad we were able to utilize the nice weather. It was a bit chilly and breezy, but the sun was still shining enough for us to get in some good play time. I especially love that the park is so large that we can literally throw our blanket on the ground or pull out our fold up chairs and just have a nice relaxing day. I have one more week with the boys on Spring Break (they were given 3 extra days this year) so I’m looking forward to making the best out of it as I can. 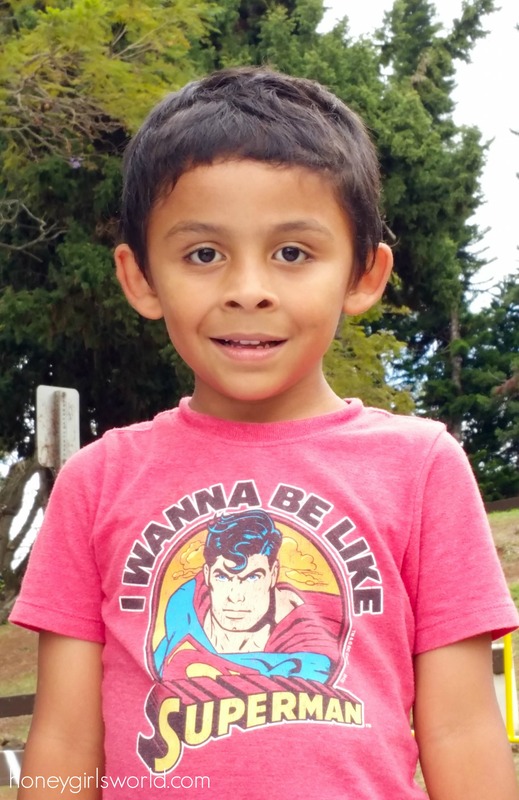 My big boy is going off to a Spring Break program at the school which starts tomorrow so he’ll be in school from 8am – 3pm each day for the next 5 days. It will be mostly the twins and I while the hubby is at work. Either way, we are going to make the best of it. I bet you didn’t know, just by looking at me, that I walk or run a mile to two miles five days a week! Or that I exercise, workout or I spend lots of time on the elliptical at least 3x a week. Running or walking is my way of clearing my mind and keeping me motivated, active and allows me to really bring out my creative side and working out, well – it keeps me healthy and helps with my asthma. A few weeks ago I was in a grocery market when a lady snickered at the fact that I had picked up a pint of ice cream… basically saying… “Are you sure you need to be buying that?” I let it go, but I then realized that there is such a common misconception that if you are plus sized, or larger than most that you are obese or overweight. 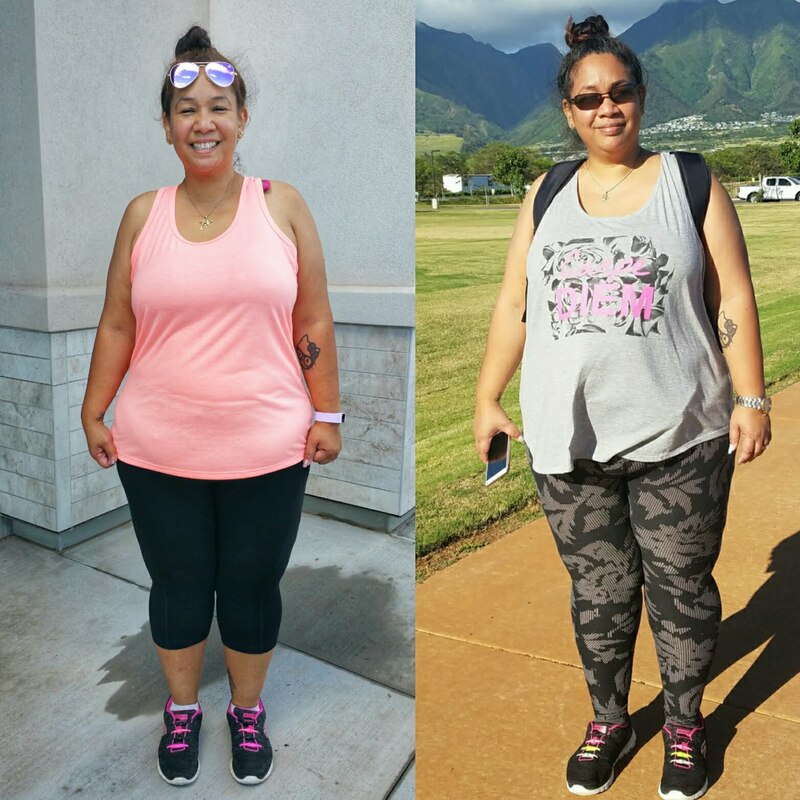 The fact of the matter is, yes – I could stand to lose about 100 pounds to make myself healthier for my children, my husband and me – but that doesn’t mean that I’m necessarily unhealthy as so many will assume that I am. 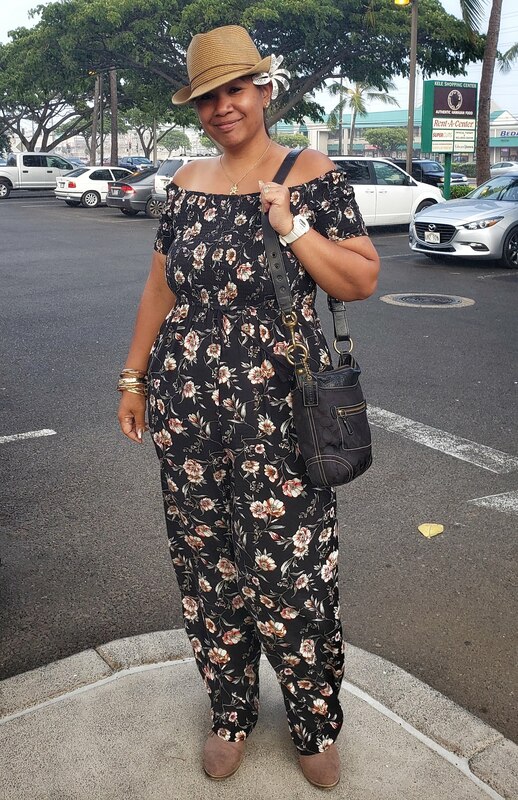 Prior to having children, I was a size 8, petite in body with a large bust and behind and after having children certain medical ailments have assisted with my weight gain. I’m not an over eater, but because of my physique – I often get pegged as “the fat girl”. I realized a few years ago that while I’m on my journey to get healthy and stay healthy (regardless of my size), many will not see it as such. 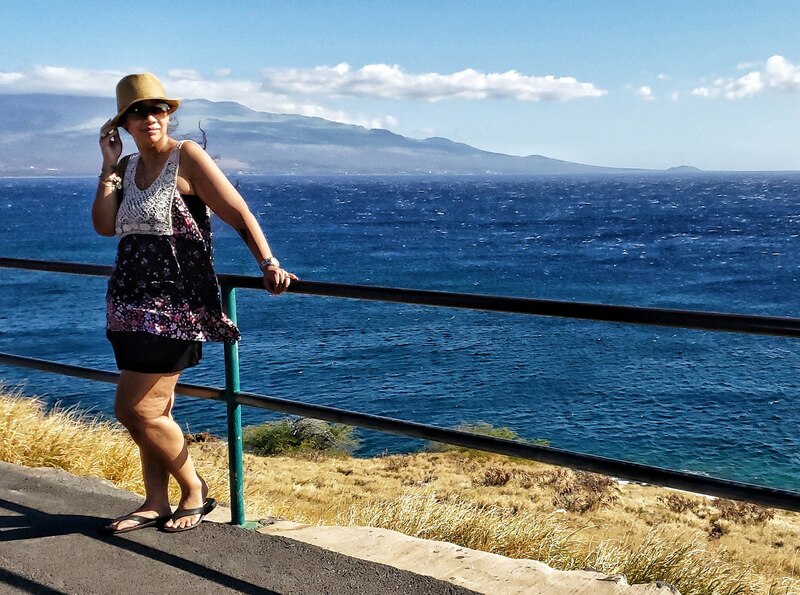 So – now I am categorized as a plus sized lady and hey, at this moment in time… it’s who I am and I’m okay with it. The important thing is that I continue to live a healthy life to the best of my ability – regardless of what the social standards may outline. Yes, I do have extra baggage on me, but – I do live a reasonably healthy lifestyle. Today – after giving this topic some thought, I figured it would be a great way to not only share my story but also a few tips that can help you make small changes to your life for a healthy lifestyle. 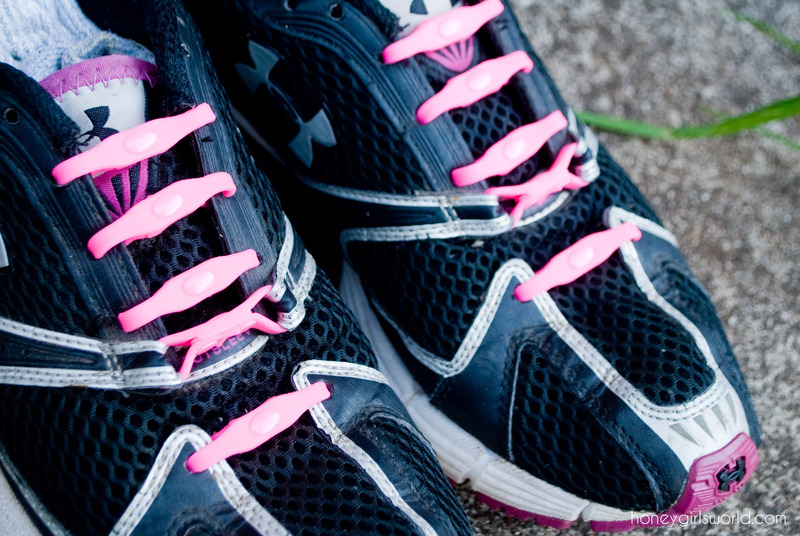 5 easy, healthy lifestyle changes anyone can make and anyone can do. Feeling a little frumpy or just feel like you need a boost of endorphins or happy thoughts or need a little pick me up? These tips are simple, easy and you can do them too. This particular tip may seem like a no-brainer, but the fact of the matter is… most people do not consume or drink the recommended 8 glasses of water each day. I love water and I love that I can add a little bit of lemon to my water and I am hydrated for longer periods. I’m really good at drinking the recommended amount but if I don’t I make sure I have a trusty timer go off every so often so I do not forget. Having a bottle with you at all times helps A LOT. I fill up my Hydroflask with ice and water and take it with me whenever I’m on the go so I always have water available that is cold and refreshing whenever I need it. Just adding the 8 glasses of water to your daily intake each day will make a huge difference in a healthier lifestyle. It may seem like it’s no big deal, but walking increases not only your oxygen but also helps in you regulating your breathing. 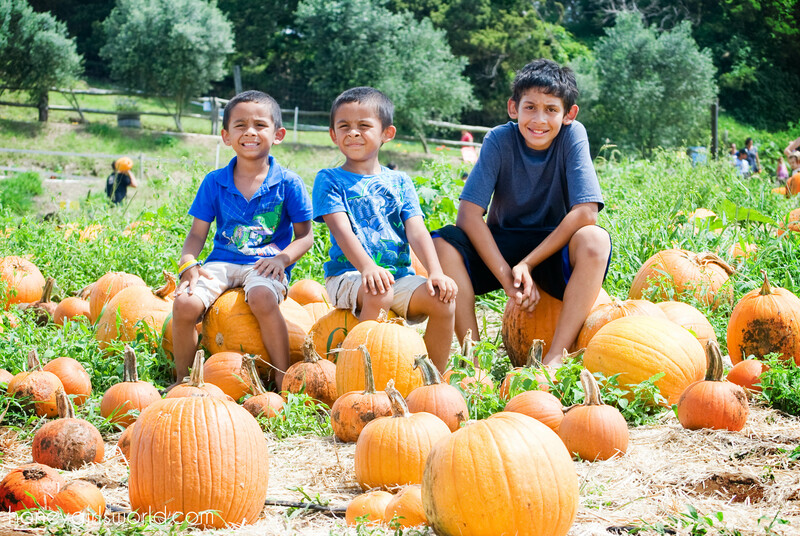 But, I get it – life can get busy and sometimes you can’t find the time… as a busy mother, I know this all too well. There are still so many ways to get your walking in. Park further away from the store, at the back of the parking lot (be careful to watch your surroundings if you are by yourself) and get a little extra walking time in that way. I hate battling for parking stalls – especially when I’m at places like Costco or Walmart, so I’ll just park far and walk – exercise and a little extra steps are worth it. You can also park your car at the end of the drive way instead of right near the house. Since my mailbox is at the bottom of the drive way and we have another house in front of us, I like to walk back and forth to the mailbox a few times if I know I can’t devote any time to walking that day. And, sometimes walking by yourself is boring… so head to your local big box store like Target, Walmart, etc. and just walk around the store window shopping (if you can avoid the need to make a purchase) and get some walking done there. Last week while walking around target I clocked over 1200 steps just browsing the store and it didn’t feel like exercise to me. Let’s face it – we all have it… that dreaded sweet tooth that makes us crave those favorite goodies that satisfy our souls. For me, it can be ice cream, gummy bears or the occasional chocolate. Thankfully – I am not the type of person that feels the “need” to have them, but I do have my moments. Instead of letting these things get the best of me, I just don’t keep them around me but I also don’t deprive myself if I have a craving. The key is moderation and control. Since I know I like ice cream – I will either replace my ice cream with a frozen smoothie with frozen fruit or make a sorbet and if that really doesn’t work, I will eat some ice cream, but make sure to choose the smallest bowl in the house to serve me in. Sometimes all we need is the taste on our tongue to satisfy that craving and a little of it will go a long way. Also – stock your house with fruits, when you want that snack – have a small bowl of fruit and you will be amazed at how fast it will curb that craving. I never drank soda growing up and once I was really introduced to the taste of it in my early 20s, it was hard to ignore. I’m a Pepsi girl and my husband and I both enjoy Pepsi soda as well (who do you think introduced it to me? haha). It was a hard one to battle and while we don’t stock soda in our house, we still treat ourselves from time to time. I NEED soda with Pizza. I know, I know – no one needs soda… but it’s something I look forward to when I have a piece of pie to eat. So if we really find the need, my husband and I will share a can of it together. That way – we get the flavor, the satisfaction and we are not stuck with a huge case of it in our house and feel the need to drink it all. We can go a whole year without it and then one day, we find the need to taste the yummy, sugary carbonated flavor we enjoy and we’ll treat ourselves. If you can quit cold turkey – do it… if not, just try eliminating it to the best of your ability until you don’t find the need for it any longer. Get up – stand up, stand up for your life! As someone who works from home, I can find myself on the computer for hours at a time trying to work on campaigns, type out posts, answering emails… etc. Like with any job, the time can get away with you when you have a deadline or are busy working. But, you should always remember that it’s important to get up once in a while, stand and stretch – walk away from your desk. This will not only allow you to take a breather, maybe have a second to gather your thoughts, but also stretch those muscles and move. Standing up is so important to help in the blood flow of your body and it also helps to give you a little boost of energy that you may be needing after sitting a while. While this is just a starter list, there are so many more things you can do to make a healthy lifestyle change. Remember, it doesn’t have to be uncomfortable to do and it shouldn’t make you feel like you are dreading it each day. Living a healthy lifestyle could mean that you are getting an extra 10 minutes of walking in, each day or you cut out your favorite junk food. Rome wasn’t built in a day and things take time. 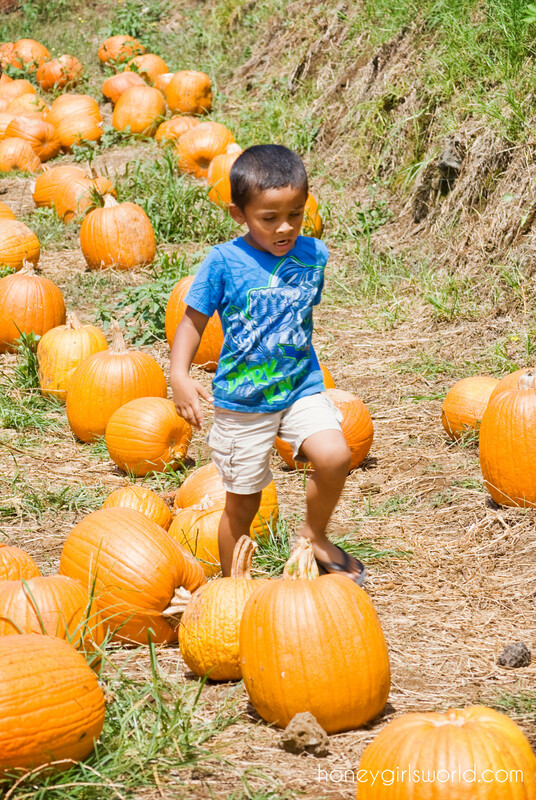 These steps and tips are there to help you be more confident in your choices. If I can do them, well – you certainly can too. Remember, a little at a time and you’ll see a change. Also – if you are in the same boat as I am, know that no one can make you feel terrible – but yourself. Have faith, think positive and know that I’m cheering you on. A healthy lifestyle isn’t about killing yourself at the gym or starving yourself… it’s about being healthy so you can live life. Good luck! Disclaimer: All opinions are my own, 100% honest and unbiased. I was not paid to provide my thoughts and this post is not sponsored. Have you ever had those days when you wake up and feel like an epiphany has completely taken over your body? The feeling overwhelms you and leaves you stunned and in awe. I swear, it seems like over the last month I have been going through this very thing several times a week. It delights me that I can go to bed in the evening and wake up the next morning with my head filled with thoughts that I simply can’t wait to get onto paper. This has been my routine lately and my mind is telling me to pay attention to the signs as they are what my heart is telling me my soul wants. In 2015, everything I did and everything I strived for had to do with self discovery, finding out who I am and what I want out of life. It was about growth, not only for myself but my family and about strength because we had to really rely on one another to ensure success or simply to just get by. This year, I want to take everything I learned from 2015 and incorporate it into my personal “Planner” so to say, that will enable success and ultimately, help me to achieve my life goals. Let’s face it, living life is an accomplishment already and last year was a challenge all its own. 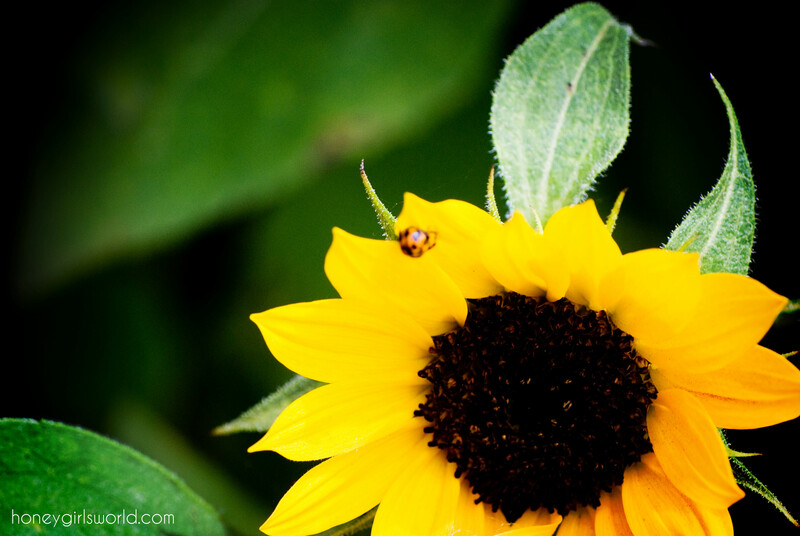 So, what’s in store and what’s new for Honey? Well, first of all I really feel like over the years I lost my identity and who I truly am and last year after really accomplishing so much more than I thought I ever could personally, I realized that the little changes I made to my routine and myself created a monster. Not the scary, freaky and ugly kind, but the kind that really wasn’t satisfied with everything or anything. I should be tapping myself on the back, applauding my accomplishments and realizing that not only am a I strong, confident and beautiful woman but that I attained and superseded a plethora of goals I had and I didn’t even realize it. This year 2016 my mind has been made up. My goal is to engage in my thoughts and bring them all to life. Like an artist takes to his canvas or a writer to paper, my plan is to really embrace who I am as a person and use that as my strengths, not my weaknesses. One of the things I plan to do is start with making changes to my blog – I know, I know, yet again. I realized a lot about myself last year and that is that I lost my sense of personal identity on my site. I found that I was producing content that lost my personal sense of style. 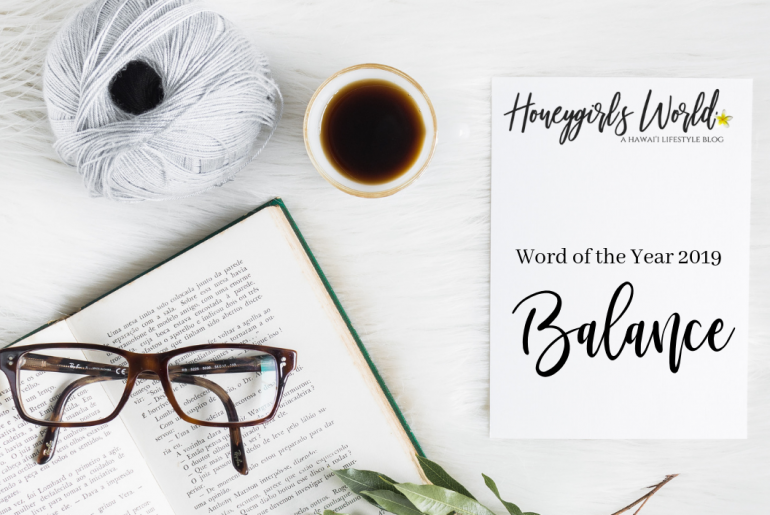 I love doing product reviews and I really truly enjoy trying new products and new things – but I lost the embodiment of what Honeygirl’s World really is… My World, My Life – the things I love. 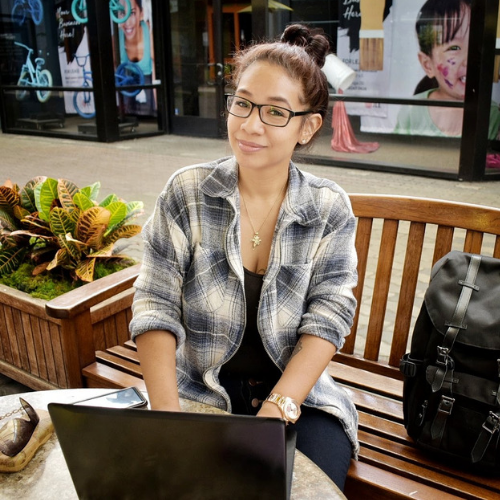 My site turned into a plethora of beauty (which isn’t a bad thing), but while my reviews showcased my personality, I felt that I still lost a lot of who I really am. This year I plan to incorporate more of me into the site and retro back to what it used to be when I first starting blogging. My site will not only be for reviewing my favorite products, but sharing bits and pieces of who I am and what I love. I kind of feel like all of that got lost over the years and I plan to bring it all back. 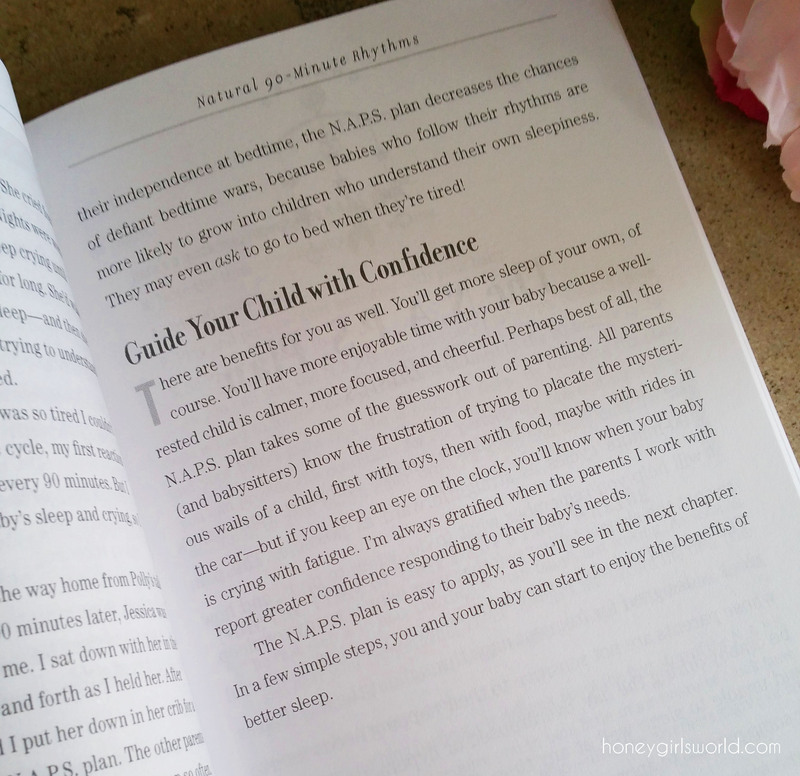 I started Honeygirl’s World as a way to document my life and that is where I plan to take it once again. So what can you expect from me? Well, as if I wasn’t a blatantly honest soul – you can expect that much and more. I really want to hold myself accountable for all the things that I let slack over the years. My goal is to keep on top of YouTube, posting three or more videos a week – we’ll see how that turns out and just keep that portion of my life much more organized. 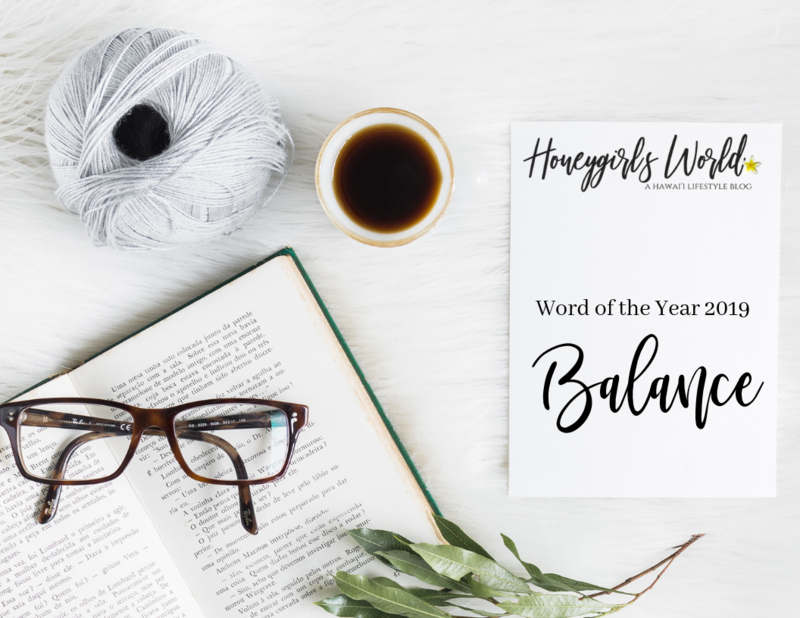 I want to really keep on top of my blog – posting 5x or more a week, preferably more and work at keeping the content fresh and exciting but also weave in so much more of myself that you’ll feel like we are bff’s and know me on a personal level. I want to also check off things from my bucket list and in order to do that I must be more diligent and really make this “Stay at Home, Work From Home Mom” thing work. 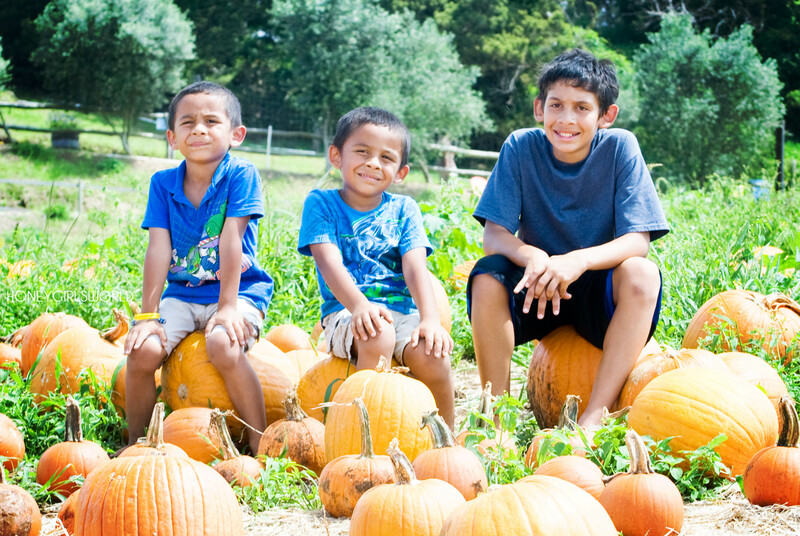 I want to make even more time for family… my family – my husband and children are my everything and so this year I plan to really be “Super Mom & Wife”. In a week, I’ll be turning 36 years old and I’ve reached that point in my life where I don’t think I’m even old… the 30’s are the new 20’s anyway. I’ve embraced my looks, my beauty and what I look like on the outside so now I just need to embrace my beauty on the inside and continue to feed my soul. Will you be on this journey with me? I hope you’ll stick around and see! 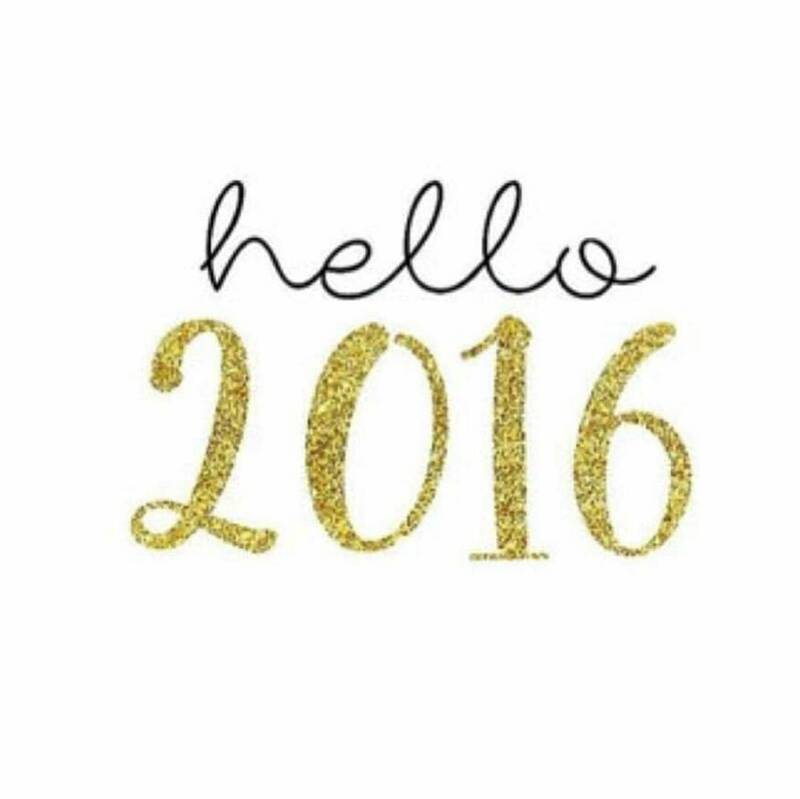 Wishing you all a wonderful 2016 and a year filled with endless blessings and happiness! While Thanksgiving is my absolute favorite Holiday and it’s usually because I stuff my self like crazy. So when Black Friday comes around, instead of shopping those calories off, I choose to either go for a nice run or spend some time putting in a little cardio. One of my favorite things to do is pick up a jump rope and get some cardio in that way. With a little change up to your routine, it can easily make for a good experience and leave you feeling like you conquered the world. 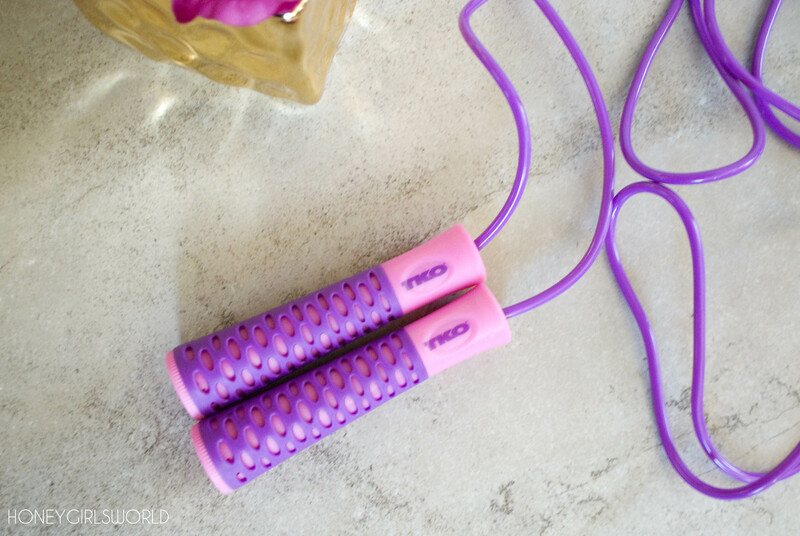 Between some hip hip dancing, the elliptical and a good old fashion walk or run, the Jump Rope offers me some fun and a bit of variety. 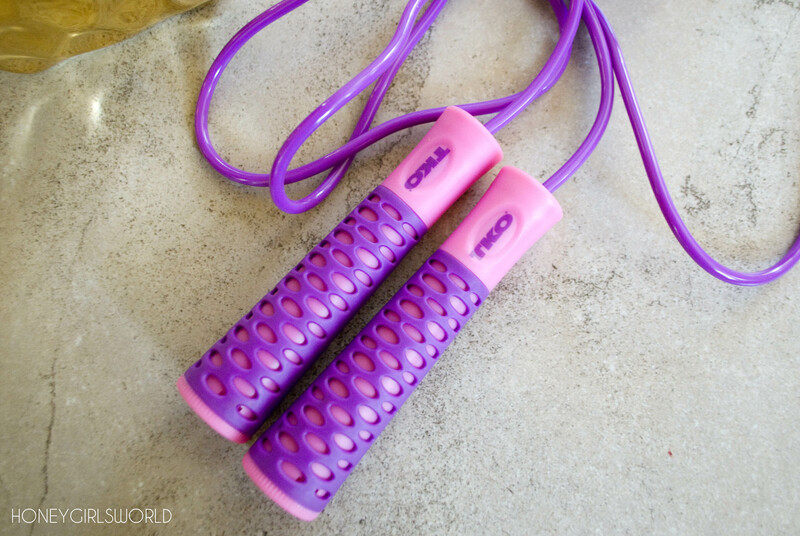 I have a few Jump Ropes I enjoy using and this one from TKO is my current favorite. TKO is a brand that my family and I are quite familiar with. Launced in 1996 by founder Garry Kurtz, TKO was the first boxing equipment company. I remember when I was in high school and in Weight Training class as the new TKO brand equipment was delivered. There were a lot of oohs and aahs. Eventually TKO evolved into a health and fitness equipment brand offering accessories and apparel as well as other lifestyle oriented products. Their Jump Rope retails for $30, and comes in a selection of different colors (3 to be exact) for that fitness addict. I got my set in purple / pink and we all know how much I love purple so it has made working out and putting in some cardio easy for me. Honestly though, it doesn’t matter to me what color my rope is so long as it works well and helps to give me a great work out. The rope has a great rubber coated gripped handle which makes holding it while jumping secure in your hands. The vinyl rope is 9 feet in length which makes it perfect for most heights but also allows you the speed due to the weight of the rope itself, giving you the option to really burn some calories. The rope is lightweight, has metal ball-bearings and is a great option for the beginner or advanced workout person. A good jump rope must be comfortable to hold and lightweight to allow for high intensity interval training – which this one does well with. 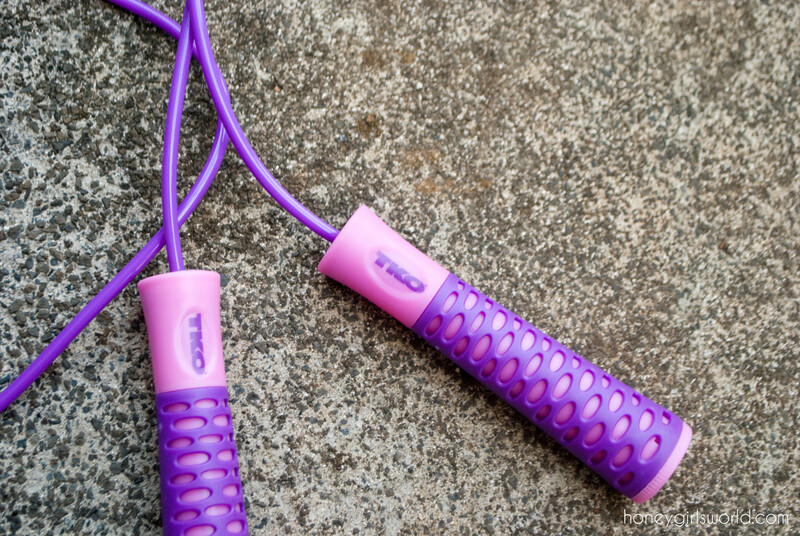 The TKO jump rope provides fluidity of motion which means you get little strain on joints while offering a great workout. This is a great thing for me because the less strain on my knees and ankle after some bad injuries a few years back keep me able bodied to continue my work out. 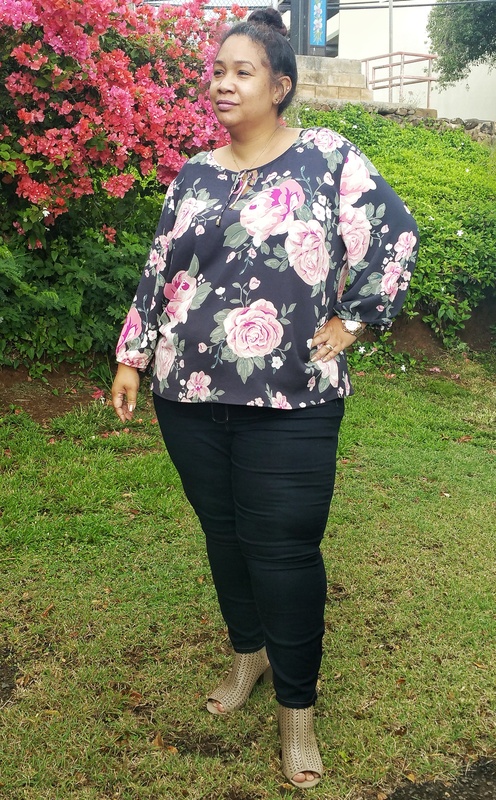 Being a plus sized gal, many think I am not active enough and that’s why I look this way – but I keep a constant workout regimen and walk / run at least a mile at least 5 days of the week. Jump rope is one of those things that will offer me a great cardio workout and get my heart rate up and I use it to replace my daily walk if I’m unable to fit it into my schedule for the day. This particular one from TKO is sold at Macy’s and most major sports retailers nationwide so it’s easy to get your hands on one for yourself. Click here for more information or to purchase your own. 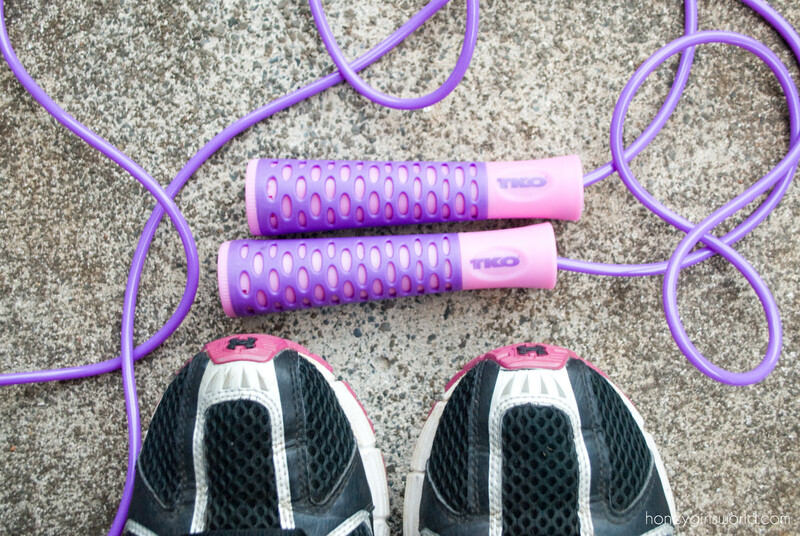 So what about you, do you use Jump rope as a part of your workout routine? If so – do you enjoy it and if not, what do you prefer? 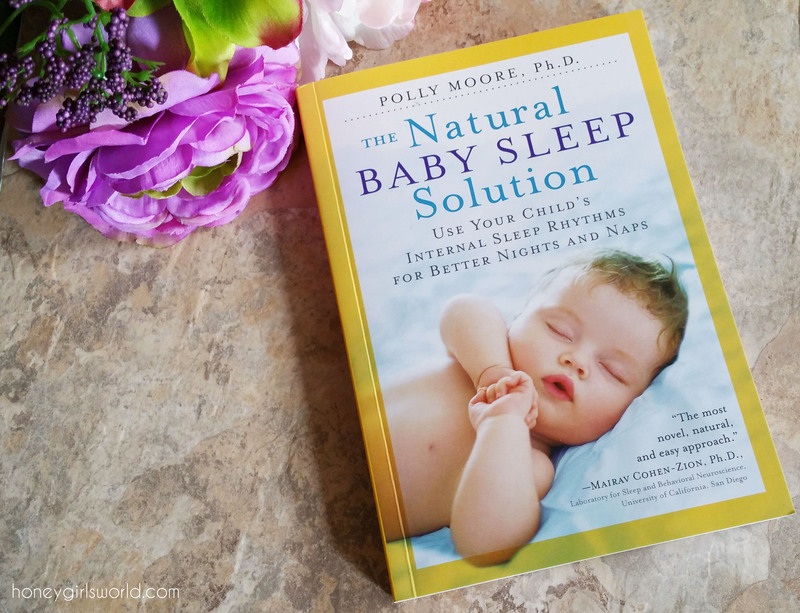 Disclaimer: The product mentioned in this post was sent to me for review consideration. All opinions are my own, 100% honest and unbiased. I was not paid to provide my thoughts on this product. Affiliate links are posted through out.